School holidays are almost upon us, and what better way to celebrate the kids’ great SATs results than relaxing in the garden in their own personalised printed deck chair. 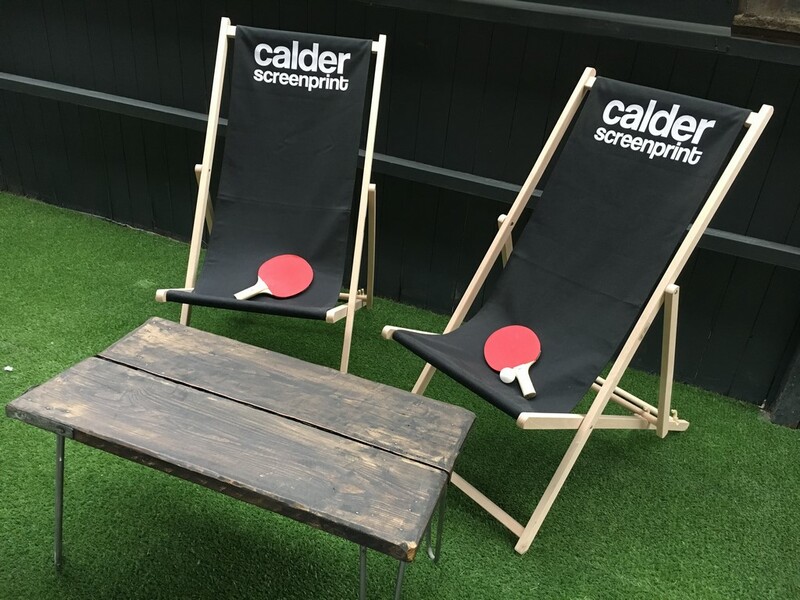 Here at Calder Screen Print we can print your design in a wide range of colours onto our fantastic range of printed deck chairs. Call us on 01422 377799 to order your printed deck chairs now and enjoy the summer in style!